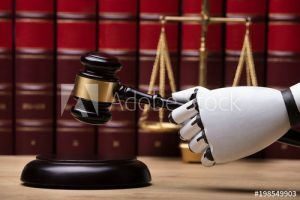 Are we ready to accept an AI judge? Nowadays we live in an automated world full of algorithms that are shaping our actions and affecting our decisions by the use of predictive models of Artificial Intelligence (AI). We might feel okay by being “helped” to decide what to buy or go to, but if we suddenly are judged by a robot on Court we might think it twice. Artificial intelligence has been present in different aspects of our lives now. For the last decade machines have been using different algorithms that today are making decisions for us regarding what we should buy, eat, listen to, watch, or even date. The term Artificial Intelligence (AI) was firstly coined in 1956 and can be understood as the ability of computers to process large amounts of data and recognize patterns in order to perform human-like tasks through automated reasoning (Goodnight n.pag). Most of the time we voluntary use AI in our daily lives to help us make “better decisions” through the recommendation of different options. But what happens if suddenly, instead of nudging us to make the best decision, it starts deciding whether or not we are guilty of some crime? A new idea for Black Mirror’s script has just been stolen. Like in many of those episodes, this leads to many ethical questions that we cannot ignore. In 2016 researchers from University College London, University of Pennsylvania and University of Sheffield developed a software which acts like a real judge and is able to analyse legal texts and make its own decision. According to The Guardian, the AI robot has predicted different verdicts from the European Court of Human Rights, with a 79% accuracy in 584 cases involving torture, degrading treatment, and privacy (Johnston n.pag). The main purpose of the system is to extract patterns that correlate with specific outcomes in order to identify potential violations of a particular Article of the European Convention of Human Rights. This was achieved by the analysis of textual evidence, relevant applicable laws, and arguments presented by both parts involved (Aletras, et al. 2). where TV and TNV are, respectively, the number of cases correctly classified that violated an Article or not and V and NV are the number of cases where there was a violation and there was no violation, respectively, according to the judge. From this research we might conclude that the software used to analyse various court cases is taking into consideration other external facts that vary among the cases rather than sticking to the legal law and making a more objective and fair decision. Researchers also found that some of the cases analysed by the AI judge were misclassified because of certain similarities that were shared between both violation and non-violation cases (14). This lack of agreement between specific words and topics that determine whether a particular case included violation or non-violation would directly affect the decision made by the AI judge. In order to aim for an “objective position” this classification of all cases must be clarified by the robot to have access to a bigger history of patterns and therefore make a more representative decision. The fact that experts are developing AI to aim for a more objective and neutral perspective in order to make an unbiased decision can be described as a paradox. Because the algorithm is created based on data that represents humans then this data is also a direct reflection of humans’ biases and bigotries (Corder n.pag). 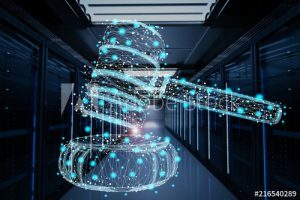 When considering the use of AI in complicated legal cases there is another negative aspect that rises regarding when the involved parties would like to appeal to a verdict. Even though AI tries to in some way to simulate the human brain (Velik 2), a neural network presents unknowns regarding what happens during the mapping process and function of neurons between input and output layers (Yildirim and Beachell n.pag). Considering that a neural network creates connections on its own that cannot always be explained by humans it may be difficult to explain the software’s decision-making process (Tashea n.pag). In this sense, algorithmic processes are in disadvantage compared to traditional decision-making where humans can articulate their rationale when is necessary, which can be only limited by their desire to give an explanation and the questioner’s capacity to understand it (Mittelstadt 7). Even though the use of an AI judge might turn into a valuable tool for highlighting which cases are most likely to be violations (Griffin n.pag) the ethical and transparency issues will need to be highly considerate. Furthermore, it also might be possible that judges will have to look for a second job, due to the fact that by 2036 more than 100.000 jobs in the legal sector will be automated (“Deloitte Insight: Over 100,000 legal roles to be automated” 2016). Aletras, et al. Predicting Judicial Decisions of the European Court of Human Rights: A Natural Language Processing Perspective. PeerJ Computer Science. 2: e93. (2016): 1-19. (September 2018) https://peerj.com/articles/cs-93/. “Deloitte Insight: Over 100,000 Legal Roles to be Automated.” 2016. Legal Technology. 18 September 2018. Griffin, A. “Robot Judges Could Soon Be Helping with Court Cases.” Independent. 2016. 19 September 2018. Association Journal. Vol. 49, No. 4. (April 1963): 337-344. 20 September 2018. Leiter, B. “Review: Positivism, Formalism, Realism.” Columbia Law Review. Vol. 99, No. 4 (May 1999): 1138-1164. Mittelstadt, B. D. The Ethics of Algorithms: Mapping the Debate. SAGE Journals. (2016): 1-21. 19 September 2018. Tashea, J. “Courts are Using AI to Sentence Criminals. That must stop now.” Wired. 2017. 22 September 2018.